Her Legacy… Linda Lee Bonkowski, Age 79, passed away April 3, 2019. She was born on January 3, 1940, in Hamilton, Ohio to Frederick and Hallie (Dunnington) Williams. Linda married the love of her life, David Bonkowski on January 2, 1981, in Sharonville, Ohio. Linda owned and operated the floral shop “Rose Garden” in Harrison, Ohio for many years. She also worked for Henny’s Florists and Bad Axe’s Floral Designs. Linda was president of the Fine Arts Club, a former leader of Boy Scouts and president of the PTA. In her pastime she loved to bowl and read A LOT. Linda was a talented artist and loved her cats and animals. Above all she loved her family especially her grandchildren. She will be missed by all who knew and loved her. Her Family… Linda will be missed by her husband David, her children, Marty Adams of Manchester, MI, Ginger Hesseltine of Nacogdoches, TX, Karen (Chad) Carrothers of Montgomery, TX, Andy Bonkowski,, David Bonkowski and Karen (Don) Christian all of Manchester, seven grandchildren, ten great-grandchildren and Lynn Crane and her family. She is preceded in death by her parents, brother Danny Williams and son in-law Michael Hesseltine. Her Farewell… Linda’s family held a private Natural Farewell at Borek Jennings Funeral Home, Manchester Chapel. A private interment will be held at Glen Haven Cemetery in Harrison, Ohio. Memorial contributions are suggested to ASPCA at www.ASPCA.org. 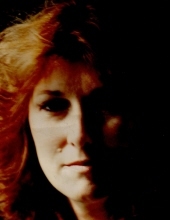 Please leave a message of comfort for Linda’s family at 1-877-231-7900, or sign her guestbook at www.borekjennings.com. To send flowers or a remembrance gift to the family of Linda Lee Bonkowski, please visit our Tribute Store. "Email Address" would like to share the life celebration of Linda Lee Bonkowski. Click on the "link" to go to share a favorite memory or leave a condolence message for the family.